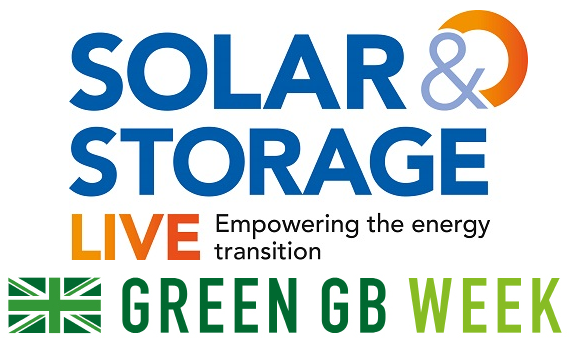 Solar & Storage Live, the UK’s largest solar and energy storage trade exhibition, is partnering with the government’s Green Great Britain Week next month. Solar & Storage Live once again returns to Birmingham’s NEC between 16 – 18 October with the event looking set to be the largest gathering of the solar PV and energy storage supply chain in the country. And Solar Media, the event’s organisers and publisher of Solar Power Portal, is delighted to announce that this year’s event is partnering with the Department for Business, Energy and Industrial Strategy’s Green Great Britain Week (GGBW), which takes place across the same week. BEIS first announced GGBW earlier this year, confirming it to be a week-long celebration of the country’s clean energy industries and their achievements to date. Each working day, running from Monday 15 October to Friday 19 October, will have a specific focus. Monday 15 October is to celebrate the UK’s leadership on climate issues, stemming right the way from the UK’s Climate Change Act of 2008. The latest science on climate change will also take centre stage. Tuesday 16 October will examine and showcase the clean technologies of the future and innovative low carbon firms, while Wednesday will tackle the critical issue of how to finance the low carbon economy. A number of BEIS representatives will be speaking at Solar & Storage Live on topics from energy storage to smart meters and flexibility, and Solar Media is now delighted to announce a tranche of new speakers added to the line-up in recent weeks. Our paid-for, Current± Theatre kicks off on the Tuesday morning with a keynote from Committee on Climate Change chairman Lord Deben, while one of the most keenly anticipated sessions of the opening day looks set to be the disruptive utilities session featuring Good Energy’s Juliet Davenport and Bulb’s Hayden Wood. Ireland, a market of considerable interest given recent policy announcements, is the subject of a panel debate on Wednesday 17 October featuring Bank of Ireland’s head of clean technologies, Eoin Hartigan. Then, that afternoon, TV personality and renowned architect George Clarke will participate in our keynote panel of the day, tackling the most prominent issues surrounding the design of decentralised energy generation and the built environment. George will then host the Solar Power Portal and Energy Storage News Awards 2018, a limited amount of tickets for which are available to purchase now. Full details of the programme and a list of speakers can be seen here. As ever, visitor registration for Solar & Storage Live is FREE OF CHARGE, however tickets for our Current± Theatre are available to purchase now. A special early bird rate is available until 14 September.